Don't have an account? NEW USER! Forgot password send your registered email address. Message : Minimum cart amount 300, otherwise order can't order processed. padampati anardana goli is made up of fine dry anardana , dry mango, black salt, and perfect combination of spices. to be made up in very hygienic manner. having superb taste and digestive , its an Ayurvedic prop. 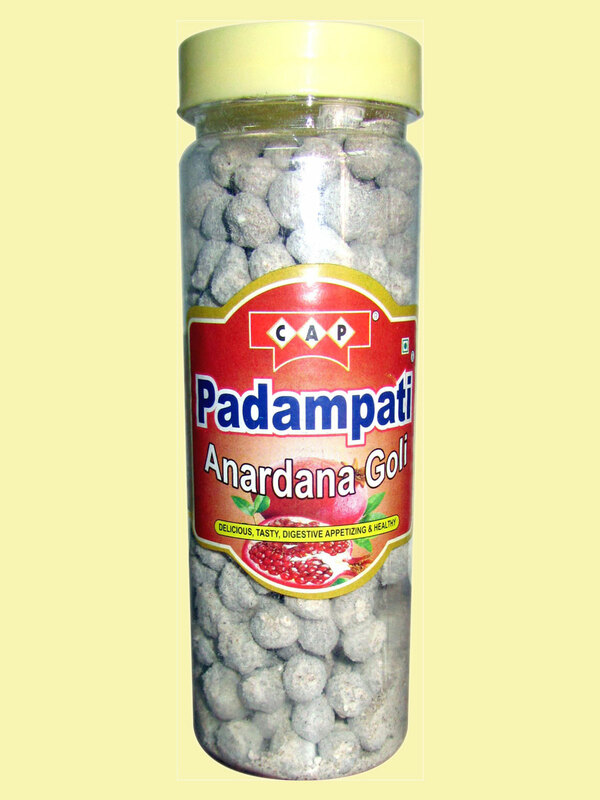 product, perfect for children also.We are offering a wide range of Padampati Anardana Goli. The offered products are extensively used to cure digestion problems, excess cigarettes, coffee, erratic eating habits, spicy food and stress. Also, these are appreciated by clients for their reliability and longer shelf life. Ajwain Pachak , sour, 150 gms. hing tikia (chatpata hing with anardana), 200 gms. Aam Hazma (Khatta Meetha) 200 gms. Chuhara Pachak (sweet), 200 gms. © 2015 All Right Reserved | Chamria Ayurvedic Pharmacy (P) Ltd.